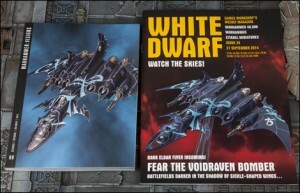 White Dwarf's content for next week is about the Dark Eldar (no surprise there). Well, some photos of the cover have started to float around. Take a look at the Voidraven Bomber.